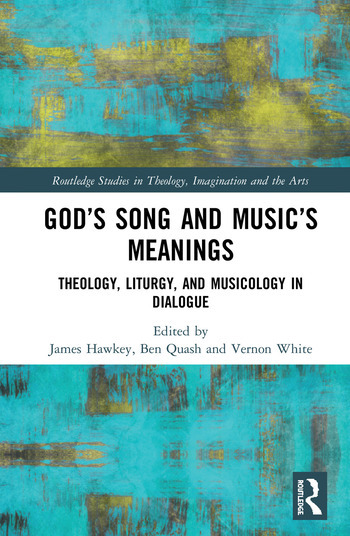 Taking seriously the practice and not just the theory of music, this ground-breaking collection of essays establishes a new standard for the interdisciplinary conversation between theology, musicology, and liturgical studies. The public making of music in our society happens more often in the context of chapels, churches, and cathedrals than anywhere else. The command to sing and make music to God makes music an essential part of the DNA of Christian worship. The book’s three main parts address questions about the history, the performative contexts, and the nature of music. Its opening four chapters traces how accounts of music and its relation to God, the cosmos, and the human person have changed dramatically through Western history, from the patristic period through medieval, Reformation and modern times. A second section examines the role of music in worship, and asks what—if anything—makes a piece of music suitable for religious use. The final part of the book shows how the serious discussion of music opens onto considerations of time, tradition, ontology, anthropology, providence, and the nature of God. A pioneering set of explorations by a distinguished group of international scholars, this book will be of interest to anyone interested in Christianity’s long relationship with music, including those working in the fields of theology, musicology, and liturgical studies. 6 Musical Promiscuity: Can the Same Music Serve Sacred and Profane Ends Equally Well? James Hawkey is Canon Theologian of Westminster Abbey, and a Fellow of Clare College, Cambridge, UK. Ben Quash is Professor of Christianity and the Arts and Director of the Centre for Arts and the Sacred at King’s College London, UK. Vernon White is Visiting Professor in Theology at King’s College London, UK. Until recently he was also Sub-Dean and Canon Theologian at Westminster Abbey.